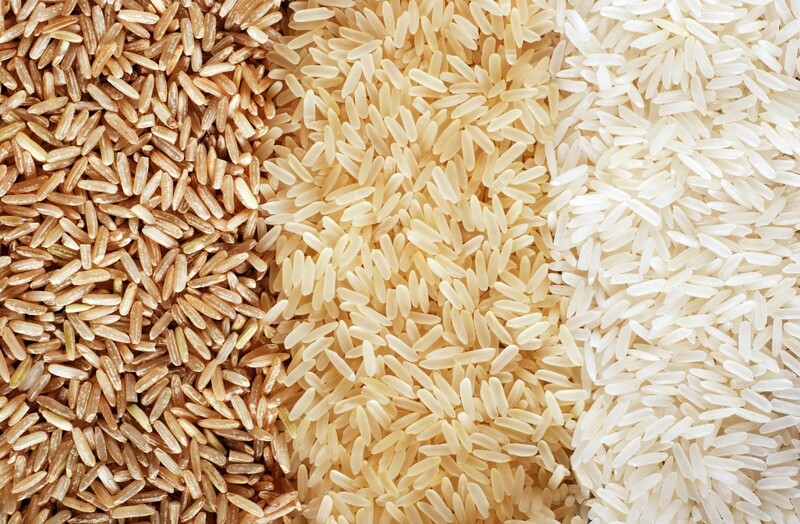 Brown rice (on the left) is more likely to be tainted with arsenic because it accumulates in the outer layers of the rice, which are stripped off in white rice (on the right). 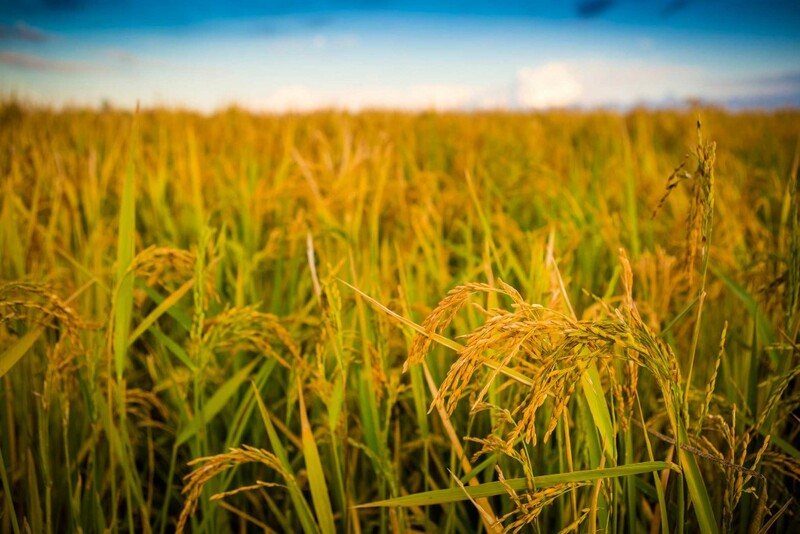 Rice, a staple food for a large part of the world’s population, has an arsenic problem. Arsenic is a naturally occurring element in the earth’s crust, found in soil, water and air. Humans have complicated the matter, contaminating the soil with more through pesticides and fertilizers. Rice is grown in water and is especially good at absorbing arsenic. Arsenic comes in two forms – organic and inorganic. “Organic” has nothing to do with agriculture; it’s a term from chemistry. If arsenic is combined with carbon, it is organic. If it is combined with other elements, it is inorganic. It’s the inorganic form of arsenic that’s most harmful to humans. Long-term exposure to high levels of it is associated with higher rates of skin, bladder and lung cancer, as well as heart disease. Despite pressure from consumer advocates, the federal government has failed to set a limit for arsenic in rice. It does have one for drinking water. The U.S. Food and Drug Administration has been studying whether the quantity of arsenic found in rice poses a risk to our health. After testing 1,300 samples of rice and rice products, the agency concluded that the amount in them poses no immediate or short-term risk to people who eat them. However, officials still are studying the more difficult question of whether the arsenic in rice has cumulative, long-term health effects. That’s a critical question for many of us, because the average American consumes 25 pounds of rice per year, according to the U.S. Rice Producers Association – a lot of Rice Krispies, California rolls and basmati. The FDA planned to provide an answer to that question in 2014, according to its website. But not only has it not done so, it will not estimate when it might. “We are unable to provide a timeline,” an FDA representative wrote in an email about the ongoing risk assessment. That’s important because the agency has said it will not set a limit on arsenic in rice or rice products until after it weighs in on the long-term health effects of consuming arsenic in rice. The indefinite delay shouldn’t be too surprising. At the U.S. Environmental Protection Agency, scientific research about arsenic has been hamstrung by politics since 2008, The Center for Public Integrity reported last year on “Reveal.” The EPA has been ready for years to say that arsenic is a much more potent carcinogen than previously believed, but one congressman has been able to hold it up. That’s prevented the agency from toughening the arsenic standard for drinking water. In the meantime, Consumer Reports has done its own testing and analysis of FDA data. It’s come out with guidelines for how much rice adults and children should consume per week through a point system, allotting each person seven points per week. But that guidance can be a lot to swallow because it requires keeping track of how much rice of various types you and your children consume. As the product list above shows, we might not even be aware that some foods we eat have rice in them. One way to avoid arsenic in rice is obvious: Eat less of it by substituting more of other grains like wheat, barley or oats. That’s the FDA recommendation. Other options include buckwheat, millet, polenta, bulgur, barley, farro or quinoa. In this country, infants often are given rice cereal as a first food, but infant cereals with other grains also are available, so change up your baby’s diet as well as your own. 2. Cook your rice like pasta. The FDA suggests cooking your rice in copious amounts of water. That means six cups of water to every cup of rice. This cooking method can reduce arsenic levels by half, but it will drain some of the nutritional content. It’s also not the way most Americans cook their rice today. If you don’t want to drown your rice when you cook it, consider rinsing it well before you do so. Then discard that water and cook your rice as you normally would. One caveat: This method is a wash or might add arsenic to your rice if you live in an area with elevated levels of arsenic in the tap water, John Duxbury, a scientist with Cornell University, told the Chicago Tribune. If there is less than 10 parts per billion of arsenic in your local water supply, rinsing with tap water should help. 4. Know where your rice was grown. 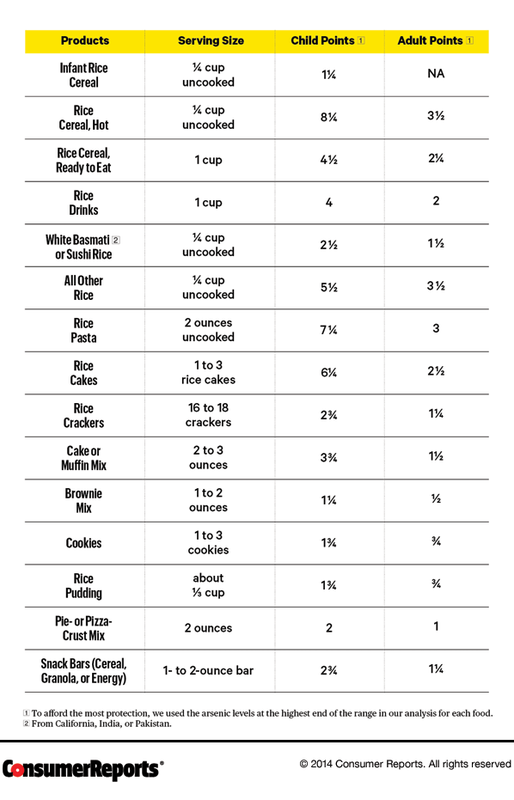 Consumer Reports’ testing found that white basmati rice from California, India and Pakistan had half the amount of inorganic arsenic as most other rice. The same was true of sushi rice from the U.S. Rice from Arkansas, Louisiana and Texas, except sushi and quick-cooking rice, had the highest levels of inorganic arsenic in its tests. The magazine doesn’t say why. Many of us have switched to brown rice from white because of its higher fiber content and nutritional benefits. But unfortunately, brown rice is more likely to be tainted with arsenic. That’s because arsenic accumulates in the outer layers of the rice, which are stripped off in white rice. But the nutritional benefits of brown rice mean that you may not want to give it up altogether. A compromise: Choose brown basmati rice from California, India or Pakistan. 6. Sorry, going organic won’t help. There is no evidence that organically grown rice has any less arsenic than the conventionally grown kind. It accumulates arsenic the same way all rice does.